Ras Ghareb windfarm is a 262.5MW near-shore wind project being developed near the Gulf of Suez, approximately 30km north-west of Ras Ghareb, Egypt. It is the first independent power producer project in the country. 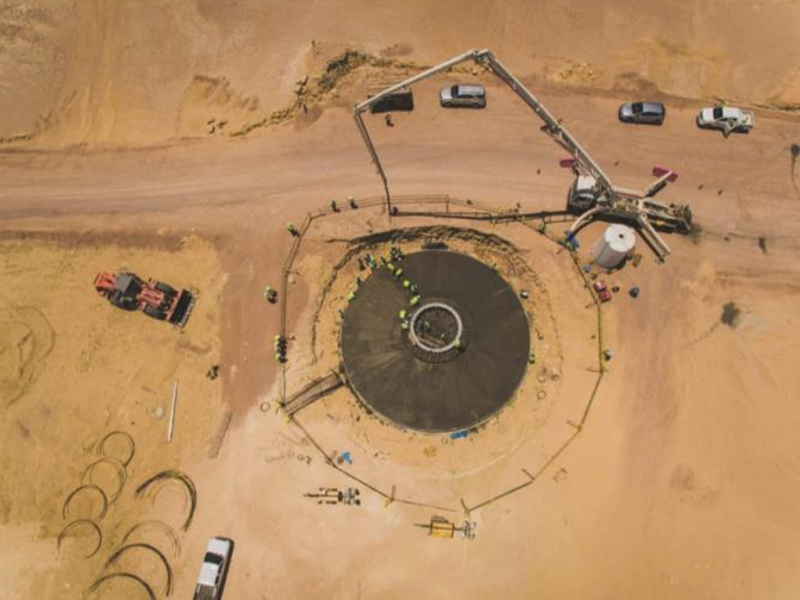 The project is being developed by Ras Ghareb Wind Energy, a special-purpose joint venture company established by Engie (40%), Toyota-Tsusho / Eurus Energy (40%) and Orascom Construction (20%) on a build-own-operate (BOO) basis. The estimated investment in the project is $400m. The project reached financial closure in December 2017 and the construction commenced in 2018. It is expected to be completed in 2019 and supply power to approximately 500,000 households when fully operational. The windfarm is expected to support the Egyptian Government’s target to supply 20% of electricity from renewable sources by 2022. Ras Ghareb windfarm development details Ras Ghareb windfarm is one of several BOO / IPP projects being developed with the World Bank, as part of the Wind Power Development Project plan in the Gulf of Suez by Egypt’s New and Renewable Energy Authority (NREA). The Wind Power Development project was approved by the World Bank Board in June 2010 with an International Bank for Reconstruction and Development (IBRD) loan of $70m, and a Clean Technology Fund (CTF) loan of $150m. It aims to support the development of wind projects as well as expansion of the associated transmission networks. Ras Ghareb windfarm make-up The Ras Ghareb windfarm is being developed on a greenfield site owned by NREA. The site is located 260km south-east of Cairo, on the shore of Suez Canal in the Red Sea Governorate. Transmission and power purchase agreement details A 500kV double-circuit overhead transmission line will be developed along with a 500kV/220kV substation at Ras Ghareb. The substation will transmit the power generated by the windfarm to an existing 500kV / 220kV substation located at Samallout, which will connect to the national grid. The electricity generated by the windfarm will be sold to the Egyptian Electricity Transmission Company under a 20-year power purchase agreement (PPA). The windfarm will be connected to the national grid by mid-2019. Financing for Ras Ghareb windfarm Japan Bank for International Cooperation (JBIC) signed a $192m loan agreement with Ras Ghareb Wind Energy in December 2017. Sumitomo Mitsui Banking Corporation and Société Générale co-financed the loan by providing $128m, which increased the total available funding for the project to $320m. Nippon Export and Investment Insurance is providing insurance to the financing provided by Sumitomo Mitsui Banking Corporation and Société Générale. Commercial International Bank will serve as the working capital bank for the project, while Attijariwafa Bank will provide an equity bridge loan. Contractors involved Mott Macdonald is providing technical advice and is monitoring the construction. Siemens Gamesa won the contract for supplying the wind turbines for the project in January 2018. The company will also be responsible for the maintenance of the turbines for a period of 15 years. Egypt’s wind power market Demand for electricity is increasing in Egypt due to population growth. The country aims to meet the increasing demand by diversifying its power generation facilities to renewable energy sources to avoid dependence on oil and gas. Egypt intends to generate 12% (6.8GW) of electricity from wind sources by 2022, 5.8% from hydro resources, and 2.2% from solar resources. The Gulf of Suez has wind speeds of 10.5m/s on average, making it suitable for windfarms. The Government of Egypt has provided a 7,845km² area to NREA in the Gulf of Suez region and the Nile Banks for the development of wind energy projects. NREA has windfarms with a combined capacity of approximately 500MW in operation and 1,340MW in planning and development in the region.